Summary: "Last spring, Nikki Beckett vanished, sucked into an underworld known as the Everneath, where immortals Feed on the emotions of despairing humans. Now she's returned- to her old life, her family, her friends- before being banished back to the underworld... this time forever. 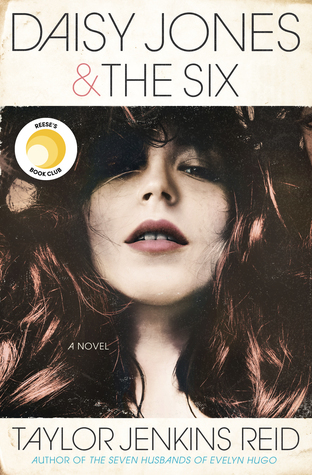 As Nikki's time grows short and her relationships begin slipping from her grasp, she's forced to make the hardest decision of her life: find a way to cheat fate and remain on the Surface with Jack or return to the Everneath and become Cole's..."
First line: "I was picturing his face- a boy with floppy brown hair and brown eyes- when the Feed ended." Thoughts: I think one of the best and worst feelings in the world is when you receive get a book you've been dying to read, and upon finishing it, you immediately want to read it's sequel. Best because YAY, you just read a fabulous book! Worst because UGH! You have to wait over a year for the sequel. Be warned because for me, Everneath is that type of book. What originally drew me to Everneath is it's enticing cover. Just look at it! The smoke, the fiery red dress...who wouldn't love it? Of course, with beautiful covers, you also have to be a bit weary and question whether or not the story is as beautiful as the cover. How many times have you read a story where the cover was gorgeous, yet the story fell flat? Plenty, I'm sure. Luckily, this is not the case when it comes to Everneath. After reading the very first line, I was completely hooked into the story. Every time a chapter ended, I had to, no, NEEDED to know what would happen next. And from my previous statement above, it's obvious that in my case, this needing never went away. Now, read the summary very carefully. A girl being sucked into and escaping the Underworld, only to have a smoldering guy try and lure her back as his queen? Ring any bells? 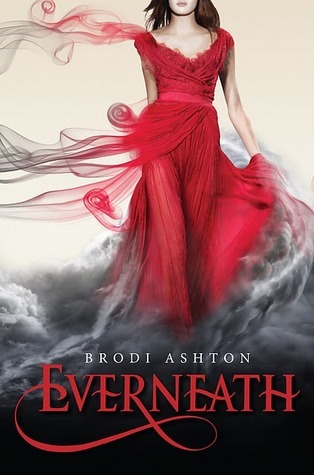 That's because Everneath is loosely based around the story of Hades and Persephone. Of course, Ashton adds in her own flare, plots and "catches" if you will, making it all the more interesting. A great tale can only be so if the writing is amazing, and Ashton's is incredible. I loved how she went back and forth between the present and the events that led up to Nikki's sudden disappearance. It lures you in, daring you to keep reading and guessing what will happen next. The pacing, at times, can be a little slow and the storyline somewhat repeatative, but overall, the story will hook you. Moving on, it's time to profess my love for Jack. Yes he's flawed but oh my gosh, does he make up for it! His love for Nikki was as real as the sky. I felt his passion leaping out the pages and wanted to hold on to it for as long as possible. At times, his and Nikki's chemistry and their story even brought tears to my eyes. It's so sweet, pure and genuine. One can only dream of such an epic, undying romance! All in all, I would recommend Everneath to those who love greek mythology and lovers of love stories. I will admit that the story is somewhat similar to Meg Cabot's Abandon, but that shouldn't draw you away from it. I'm positive that Everneath will be a hit and cannot (I repeat, CANNOT) wait to see what Ashton has in store for us next! Yes! I was really intrigued by the Hades And Persophone retelling and i'm so excited to get to this one! Awesome review! Your enthusiastic review has made me even MORE excited to read this novel! I love Greek mythology, and that was what first caught my attention about this one. Thanks for the review! Really? Jack? Im right in the middle of this book and right now I am soo Team Cole...hummm cant wait to see what Jack has up his sleeve! I love Greek Mythology, I love the myth of Persephone and Hades (my Cat is Persephone). I just cannot wait for this book!!! I love that this novel ties in Greek Mythology. I think it's really cool to be reading all these retellings of the Greek myths. I was hooked too!! The book was written so well and YAY I found another person who's team Jack! !